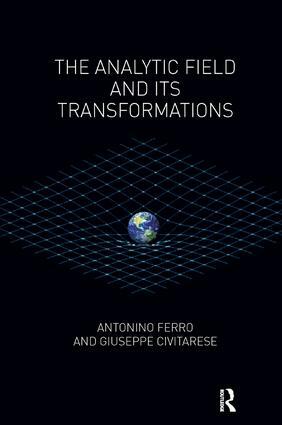 The Analytic Field and its Transformations presents a collection of articles, written jointly by the authors in recent years, all revolving around the post-Bionian model of the analytic field - Bionian Field Theory (BFT). Going hand-in-hand with the ever-growing interest in Bion in general, analytic field theory is emerging as a new paradigm in psychoanalysis. Bion mounted a systematic deconstruction of the principles of classical psychoanalysis. His aim, however, was not to destroy it, but rather to bring out its untapped potential and to develop ideas that have remained on its margins. BFT is a field of inquiry that refuses a priori, at least from its own specific perspective, to immobilize the facts of the analysis within a rigid historical or intrapsychic framework. Its intention is rather to bring out the historicity of the present, the way in which the relationship is formed instant-by-instant from a subtle interplay of identity and differentiation, proximity and distance, embracing both Bion's rigorous, and his radical, spirit.